Most relationships have a set of “built in” rules. These rules define your relationship “default position,” such as what can and cannot take place between you and your partner (and others in your life), and what constitutes that which is normal. When you “break” those rules, you and your partner are likely to come into conflict. Generally the rules fit into three different categories: rules that are spoken, rules that are unspoken, and those that are automatic. One key to avoiding the doldrums in your long-term relationship is to honor its uniqueness. The best relationships are custom jobs, which take the distinctive traits, needs, concerns and idiosyncrasies of each partner into consideration. For example, some couples need to work on ways to spend more time together, while for others spending less together time will optimize their relationship. For some couples, taking a nice vacation together will do wonders, while for others, taking separate vacations sometimes can be a relationship saver. What would be present for you that now is missing? And what would be gone, that now stresses you as a couple? Make your lists as long or as short as they need to be. But most importantly, make them comprehensive. Agree beforehand that nothing should be off the table, until it is thoroughly discussed. Next, compare your actual relationship — as it now exists — to the one that you have visualized. Identify every specific thing you can that separates where you now are, from what you have envisioned as ideal. Once again, this can be an individual vision or a shared one, but the more you both participate, the better. Is there an ideal vision that both of you can live with? If you have identified anything that makes this vision impossible, note what that is and keep tweaking it until it is as “ideal” as it can be. Note where your relationship is working well, where it needs to be different, and what changes must occur for those problem areas to be completely addressed. This is an exercise that can be done anytime you wish to focus on the big picture. It is well worth the effort. Next, discuss and write down some specific goals for what you would like to see your relationship become with respect to specific periods of time. Just as in business, any important project, your finances or your career — relationship goals with time lines bring the exercise to a better level of reality and do-ability. Where would you like to see yourselves a month from now? Six months from now? In a year? Five years? Ten years? Ultimately? As you talk and/or think this through, pay special attention to anything that comes up which may he standing in the way of the goals you’ve identified for your relationship. Where would we like to (in all the important areas of life together and separately) to be? So talk it over, try these tips from my book Can Your Relationship Be Saved? How to Know Whether to Stay or Go, and begin to take action to customize your unique relationship and thus make it as ideal for both of you as it can be. Practically everyone whose been in a serious romantic relationship with all of the deliciously intense and passionate feelings that go with it, have at one time or another experienced jealousy, which is really the fear that —to some degree— your partner is not being exclusive to you either physically or emotionally. But it’s what you do with your feelings of jealousy that can bring you closer together or ultimately tear your relationship apart. Jealousy arising from the thought of your loved one with someone else can trigger many feelings. 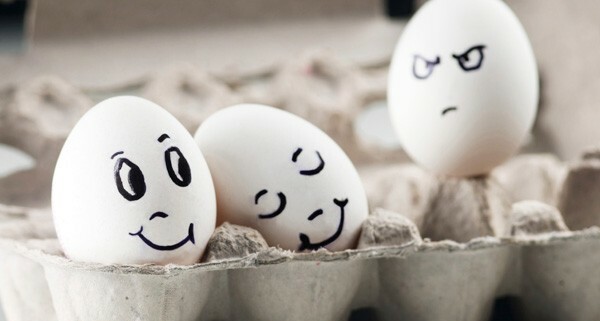 You may believe your jealousy is an indicator that you care about your partner. In this case, you see it as a sign of strength in your relationship; and perhaps it even elicits romantic feelings. On the other hand, jealousy can trigger feelings of sadness, anxiety, anger or even intense rage. That rage could be directed toward a person perceived as the ‘object of your partner’s affections’, your partner or yourself (in the form of putting yourself down because of your perception of not “measuring up” to that ‘other person’). In addition, jealousy can naturally lead to mistrust, which can wreak havoc in every aspect of your relationship. One of the biggest problems with your feelings of jealousy is that they can become a self-fulfilling prophecy. In fact, there’s no guarantee that a relationship will stay intact forever, or that your partner might not fall for someone else; but jealousy can be the catalyst in a chain of events that makes one of these possibilities become a reality. Handling jealousy requires a look at how much you trust your partner. The fact is that it’s normal for him or her to find others attractive from time to time, just as you do, while understanding that this is not really a threat to the relationship unless acted upon. In other words, mental exclusivity is a very high, perhaps impossible standard. Obsessing about this only leads to needless pain. Overcoming your jealously also requires you to look inside yourself. If you’re constantly worried by the idea of being compared to others your partner may find attractive, chances are your self-esteem could use a boost. Ask yourself where is the evidence that I am not good enough to withstand the comparison? Is this completely true? Of course, there are some situations where jealousy is a sign that there is a realistic threat of your partner being involved with others, despite denials. In this case, jealousy is more or less a wakeup call and a signal to you either to have a talk with your partner or seek professional help to overcome what may be a much bigger issue in your relationship. Only you can decide if your jealous is insecurity, or an indication that something in your relationship needs a closer look. Before jealousy makes your biggest relationship fears a reality, you have the power to make a change, either within yourself or with your partner, to get your relationship back on the right track. And remember, most people have experienced jealousy at one time or another. It’s what you do with it that dictates the outcome! An unfortunate reality of difficult economic times is that layoffs and cutbacks become business as usual. And economic crisis or unemployment can throw even the best functioning families into emotional turmoil as nothing before it has. With the current unemployment rate at 7.4% (http://data.bls.gov/timeseries/LNS14000000) plus an untold number of people underemployed and out of the workforce altogether due to having given up looking for suitable employment, it is quite likely that you or someone close to you is affected in some very personal way, such as living with an entirely different set of financial standards than you’ve been used to. While the financial struggles can be profoundly problematic, the emotional side of a financial crisis is just as difficult. For example, there’s often tension and hostility in a family towards the one who’s unemployed, if he or she is seen as responsible for being unable to maintain the old standard of living. 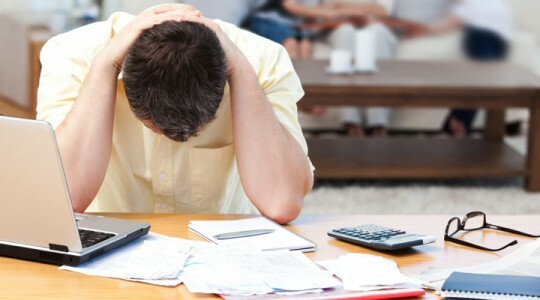 Additionally, other family members become responsible for taking on more of the financial burden as well as providing emotional and moral support to the beleaguered breadwinner and other family members. Remove the blame-The main emotional culprit of relationship and family breakdowns during a financial crisis is often blame; either blaming the family member perceived as responsible or self blame if you conclude that it’s your fault. In reality, you may not even know the real reason for losing your job (for example, your company can be reorganizing, or trying to find a way to avoid providing healthcare to employees). But even if in hindsight it clearly was the result of something your actions could have prevented, blame will only fill you with negativity and stifle your ability to problem solve and put the crisis behind you. Work as a team- Economic crisis is a time that couples and families operate best when they stick together and work as a team to find solutions to the problems that are under your control. I have seen cases where a breadwinner feels too ashamed even to make their own family members aware of the job loss (but eventually this will come to the surface, so better sooner rather than later). If all family members are able to talk frankly about their feelings in a safe environment, it will be much easier to become unified and move forward. Don’t panic just yet-When you’re consumed by negative emotions, it can be pretty difficult to be competitive in a tough job market and land the position you want. Collect your thoughts, calm down, and start thinking about your options. Without the negativity, you may even find that the job loss can be a blessing in disguise and an opportunity to take a next step in your career that was not available in your last position. Many people have told me that they surprisingly found a job loss—initially seen as a disaster—to be just the excuse they needed to connect with a job related passion they’d been ignoring, which morphed into their next job or business opportunity. Once you’ve handled these emotional obstacles, you’re more than ready to tackle the logistics: put together that solid resume or business plan, do your networking, work on arranging interviews, and —what I believe is most important— make a major move toward creating the life you really want. In the process, you and your family might find yourselves coming closer together in a way that survives way past that time when this crisis is a distant memory! Can you relate to the following scenario? You once approached your work in a dedicated, passionate and enthusiastic way. You were eager and excited about your responsibilities. While you were aware that there are built in frustrations in your work with coworkers, clientele, or the system itself, you felt that you were making an important contribution to your organization and/or field. But gradually, you’ve begun to feel a sense of stagnation. This has slowly led to feelings of apathy, to the point that it’s become difficult even to feel motivated anymore. But since it’s not in your nature to give up or stop trying, your apathy causes an internal conflict that brings upon feelings of cynicism, depression, hopelessness and low self esteem related to your job, career or profession. If this description resonates with you, it’s likely you are experiencing job burnout. Stop devaluing yourself-Burnout can occur when you’re not feeling valued by others, but even more often occurs when as a result you devalue yourself. Take a few minutes to jot down the reasons you entered your field in the first place. Who are you really committed to serving? Also write down how your current role makes an impact, whether on other coworkers, clients, students, your family, or other people in your life. Sometimes to feel like you’re pressing the reset button, you just need to take a step back, remind yourself of your contributions—big or small— and recommit to the mission you chose for yourself. Often trying to please the ‘powers that be’ and getting hung up on their approval makes you to lose that perspective. Take back control-almost every job has a variety of characteristics that are not your choice. These factors may include hours, bosses, coworkers, certain aspects of those you serve or the salary. But there are also factors you do have control over that you may not be taking ownership of when feeling burnt out. For example, if there are certain tasks that are more enjoyable for you than others, maybe you can focus on job tasks that emphasize your strengths and delegate those tasks that do not fit as well with your preferences. If there is a specific aspect of your job that you can identify as being something that once fulfilled you but no longer does, perhaps there are changes that can be made to reactivate this element of your job. But even if these things are not possible, you can refuse to let negativity control this important part of your life. And then switch to problem solving mode. The problem: how do I restore that crucial passion I once felt for my work? Consider a change-If you’re truly powerless to change circumstances at work, a career or job change may be in order to bring you back to your zone of passion. As a bonus, I have seen with many people who have consulted me, that when your work coincides with your passion, financial success follows–often effortlessly. The longer you wait to address your job burnout, the more likely it is that your apathy will spread to other areas of your life, including your relationships and even hobbies. So it’s if you’re experiencing burnout, to nip it in the bud, quickly! Work backwards-When people ask me for career advice, one of the first things I typically ask is “where do you see yourself in five years, ten years, and perhaps even ultimately?” When looking for a first job, this is something a lot of people forget about, since it feels so far away and less urgent than getting a job now. Once you’ve come up with a picture of what your whole career might look like down the road, you can consider if potential job opportunities will contribute in a positive way to that greater goal. For example, if a current job opportunity is not as lucrative as you’d like, but it’s a stepping stone to a more long term goal, it might be a better choice for you than one that merely pays a little more money right now. Utilize your role models– Ask yourself who is/are the person(s) I admire the most in my field or my favorite mentor(s), real or imagined—in the area I would most like to make my best contribution(s)? What do or would these mentors inspire me to do? If your mentor is available in the flesh, you can obviously ask directly for a perspective about his/her own career course and yours; but, even if this is merely someone you know only by reputation (for example a business owner, an iconic professional in your field or a successful musician whom you don’t have access to) you can use your image and knowledge of this accomplished virtual mentor to help you map out your long term goals. Then work backwards. What could you do to put your career on par with theirs over the period of time you’ve set? Tap into your passions-When you chose your college major, you may or may not have considered what you’re truly passionate about. So consider this. If you could spend your career doing anything in the world without regard to the money, what would you be doing? Make a list of at least five things that answer this question. Then focus on job possibilities that allow you to be conducting your career according to those passions you’ve identified. Know what motivates you-Lastly; acknowledge what typically motivates you to do your very best. Sources of motivation vary from person to person and different jobs offer unique motivators. Choosing a first job that offers incentives that speak to you and your particular personality style is important. For example, some are motivated satisfactorily by financial compensation, while others need to be creative or in a position of power or leadership to feel motivated and do their best. Some need to be surrounded by likeminded coworkers, while others need to be in an environment where the tasks are self-initiated. What have you liked or disliked about past jobs or internships (even small summer jobs) and why? What has motivated you to achieve non-work related accomplishments in your life, like doing well in school or at athletics, for example? Take the time to evaluate what really moves you to do your best, before you accept a first job. Mistake 1:Being in constant communication-Children get their own cell phones at younger ages every year. While cell phones are great for safety purposes, they make it possible for parents to be in continual contact with their child. Psychologist Dr. Steven Sussman has even referred to the cell phone as “the world’s longest umbilical cord.” When your young adult child goes off to college, it’s easier than ever for you to stay in touch—all the time. But is this a good thing? And it may certainly take on a life of its on when your child calls you to discuss what to eat at the next meal or even uses you as a surrogate alarm clock, with a daily wake-up call. Instead, limit routine communication to a specific time of day. Maybe you and your son or daughter can schedule a time to speak on the phone each evening or a few specified evenings each week. This way, he or she can have the opportunity to try to solve problems on his or her own instead of immediately reaching out to you for the answers. Mistake 2-Maintaining full financial control – It’s quite common for parents to continue to pay for things into adulthood that they began paying for when their child was much younger. For example, many young adults are still on their family cell phone plans and car insurance, and usually let their parents foot the bill for meals out and family vacations. However, while remaining a safety net, you also may want to allow them to have some “skin in the game”, in order to learn financial responsibility. This means setting firm limits and establishing a clear policy concerning credit cards and other financial matters. As an invaluable preparation for adulthood, gradually hand over small financial obligations, in order to transition him or her to become a financially responsible adult. Mistake 3-Parenting in a way that’s not age appropriate – Intuitively, it makes sense that adolescents need different parenting than infants or toddlers and young adults require different parenting than adolescents, but this change doesn’t always happen automatically. For example, it’s no longer necessary to punish and reward your children in the same way you did when they were younger. The best parenting is about giving guidance that’s age appropriate and that speaks to your child’s unique needs and stage of development. As your child becomes an adult your role as a parent will shift. For example, you can now become much less of a micromanager and disciplinarian, and more of a role model. Your child will now receive consequences from his or her own environment when poor choices are made, rather than you. This is a good thing. So relish your new role! The bottom line is that as a parent your greatest responsibility to your young adult children is to help them develop the skills to make it on their own. By avoiding these mistakes, you’ve taken a giant step in the right direction toward enjoying the stage of life where you can savor your child functioning successfully as an independent adult! When there’s something important in your life you’d like to change, like being less anxious, having better communication in your marriage or coping with a stressful work situation, the process of figuring out where to begin can feel daunting. Sometimes difficult challenges feel like they can’t change; or the thought of achieving long-lasting change seems so overwhelming that you may not even try. Remember, it’s our attitudes and beliefs that power our behaviors and emotions. 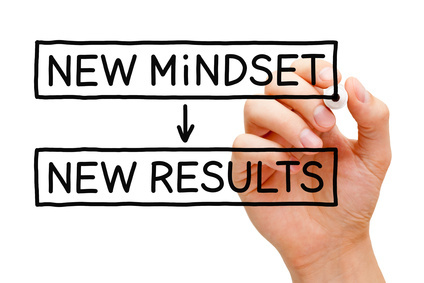 So whether you are making a major life change, merely working to accept a difficult part of your status quo or anything in between, the task is to hardwire the new attitudes and beliefs that will work for you. Think about a situation you want to change. Next, see if you can recognize and write down the belief(s) or attitude(s) that go with it. For example, if you’re unhappy with your job, but feel stuck there, you may believe, “With this economy, I have no choice but to stay here and suffer,” or “I can’t stand going to work anymore.” Making a shift, means changing something within yourself. This means changing an attitude or belief and then the behavior that’s driving your self-defeating negative emotion. For this exercise (and usually in life), changing another person or circumstances outside of yourself is not an option. So instead, focus on your belief that —in this case—you are stuck. Are any of the beliefs I have identified and written down completely true? Does the attitude or belief serve any purpose that would make me want to keep that attitude or belief? Am I open to adopting a new attitude(s) or belief(s) regarding this problem? Assuming you answered “No” to the first two questions and “Yes” to the third, take a minute to write down how the attitudes and beliefs that underlie your problem might be affecting you. Note how things in your life would be different with a different attitude that you’ve actually chosen. For example, is it possible that you do have talents or skills that could be valuable to another employer? Some people are hired in every economy, and after all, you are only looking for one job. Also, until you do find something new, can a different attitude make this job more bearable? Next, choose some healthy alternatives or affirmations to the problematic ones you have just identified. For example, you could choose the affirmation “I am really motivated to find a job where I can use my talents and be appreciated; and until I do, I’ll look for ways to make this job as fulfilling as possible”. Think of as many alternative attitudes and beliefs as you can that apply to your situation. Are my new affirmations completely true for me? Do my new affirmation(s) above remove or neutralize my problem (at least for now)? Keep tweaking them until you can answer yes to both questions. If you answered yes, think about how your issue or even your life could be different, once you’ve hardwired these new affirmations. And to hardwire them, of course, is simply to live by your new affirmations—unnatural as they may seem, at first— until they are a natural part of you. This generally takes about 30 days. Refer to them as often as necessary until they do become hardwired, and remember to take the necessary action steps (for example, begin your job search!). With this exercise, you can make a shift very quickly! In my recent article, I discussed some of the common myths that often hold parents back from doing what it takes to help their adult children to launch into independence. 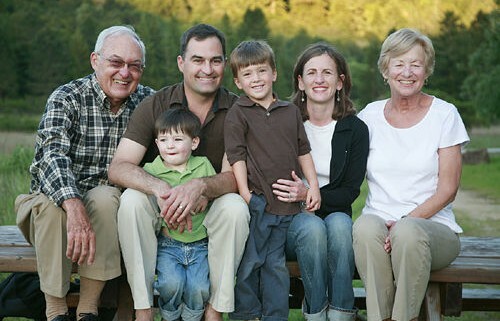 Some parents who are still caring for their children as well as their own aging parents are part of what is sometimes referred to as the sandwich generation. Such a situation often comes with various emotional and financial challenges, as modern medicine allows people to live longer, while young adults have a harder time finding jobs. So this scenario is a trend that is likely to continue. Set boundaries with both your children and parents. You can’t always jump when someone has a need or a request. Even if you’d like to accommodate everyone, ask yourself if a given request is reasonable or if it’s at the expense of your own well-being. You can help others best when you are helping yourself first, so don’t neglect your own needs because you’re busy caring for others or even worse —beat yourself up over guilt. Another way to make the experience a better one is to clarify your attitude about the very roles you’ve taken on. If you think of it as a burden, you’re likely to find the experience fatiguing and overwhelming. Instead, allow yourself to focus on the opportunity to strengthen and complete your relationship with your parents while you still have the chance. Though sometimes the needs of your elderly parent can be excessive, the other side of the coin is gratitude for having your parent in your life. Then, you can see the situation in a different light. This will go a long way toward transcending any need you have for positive reinforcement. Finally, think about what you’d like your children to learn by your experience. Your children may be likely to base their own attitudes on caring for you later in your life on the way they’ve watched you handle your parents. So what is that learning experience you’d like to pass on to your children? Think of this as just one more of life’s what comes around goes around moments.